Delivered to you free in 10-15 Business Days – Direct from Thailand. 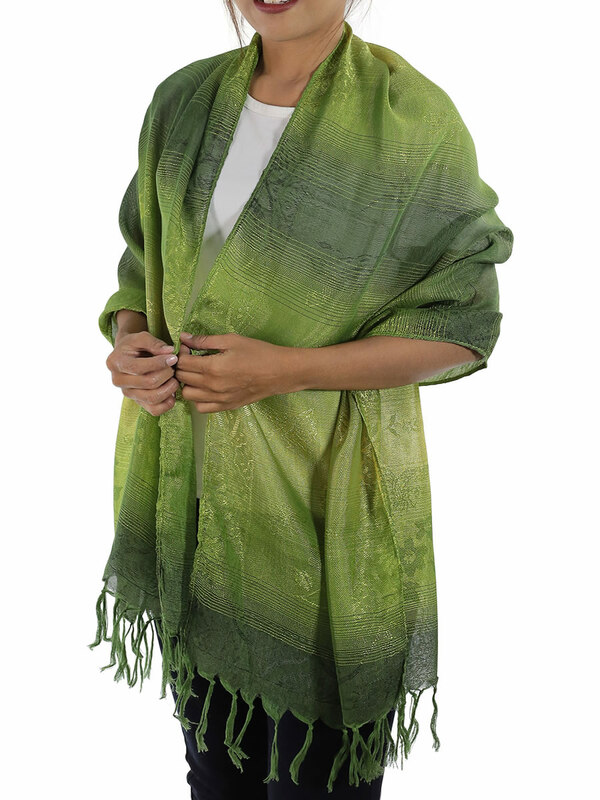 This traditional Thai Green Scarf is a wonderful and versatile addition to your wardrobe and can be worn in a number of ways. 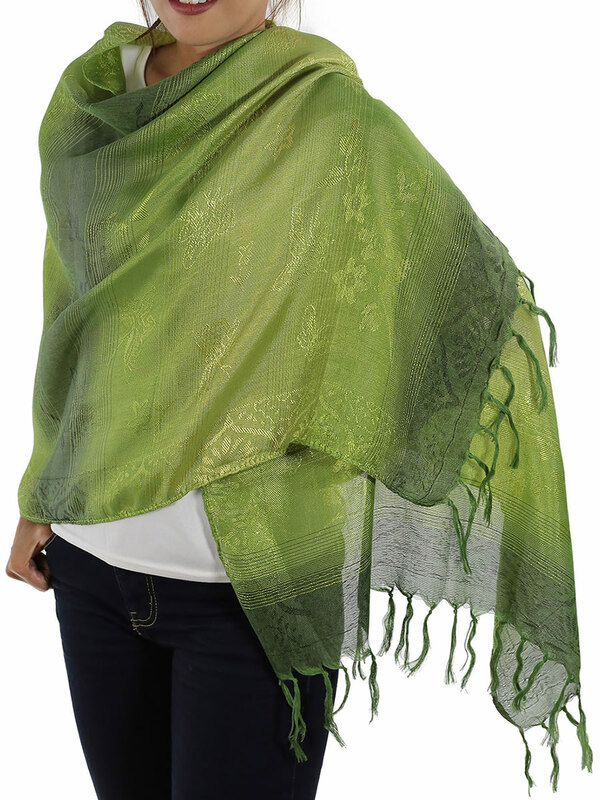 A finely woven butterfly pattern shimmers with colour when you are wearing this Green Scarf. With rich colour and the natural sheen of silk, this traditional Thai Green silk scarf will give you a bright, glamorous look for any occasion. 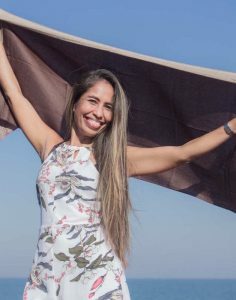 Have a beautiful new traditional Thai Green silk scarf delivered to your door – your friends will not believe you when you tell them the price you paid! 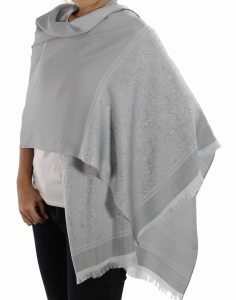 Thai silks are an essential part of any seasoned wardrobe because of their versatility and comfort. 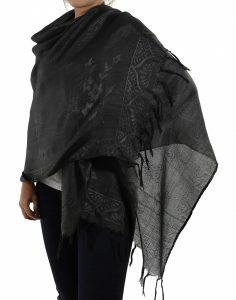 However, the only way to ensure that you were buying the highest quality silk used to be to scour the streets of the Chiang Mai night markets in northern Thailand. 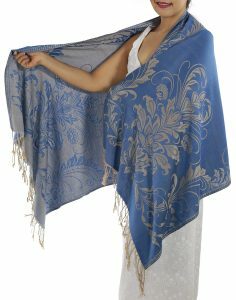 Now, there is a reliable way of acquiring the luxurious softness of Thai silk in a plethora of colors from a woman whose family has worked in those very markets for years. 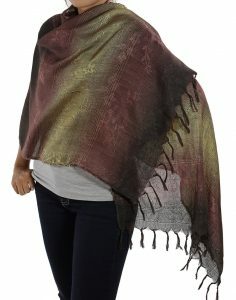 Yes, order directly from Thaisilkandscarf.com and you can receive a lovely hypoallergenic multi-toned green scarf mailed to your door within ten days. 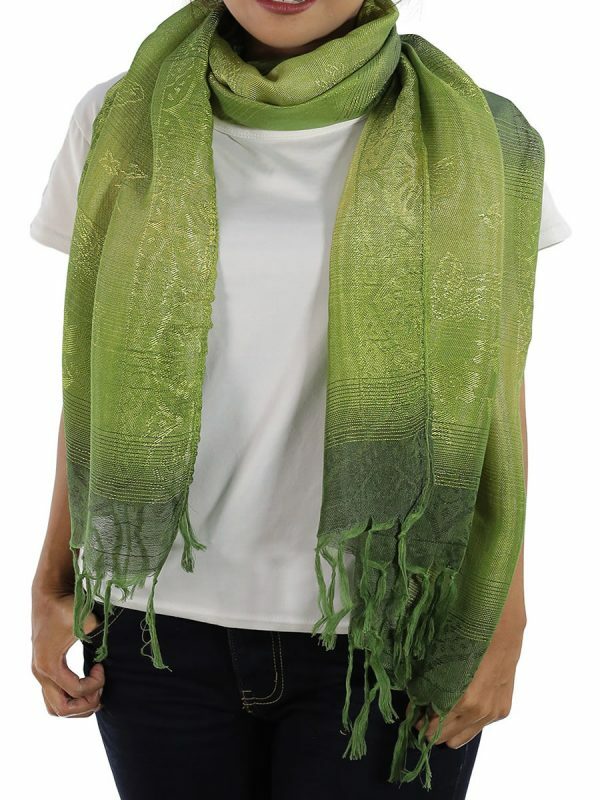 In spite of the delicate appearance of a green Thai silk scarf, it is relatively robust with a smooth surface that is ascetically pleasing while also resistant to soiling and odors. 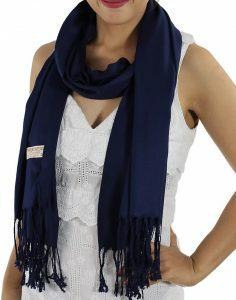 It a wonderful way to accessorize your torso or shoulders in any climate wrapping it around you snuggly to keep cozy in a chilly winter or leaving it loosely draped around your body to breathe in the summer breeze. 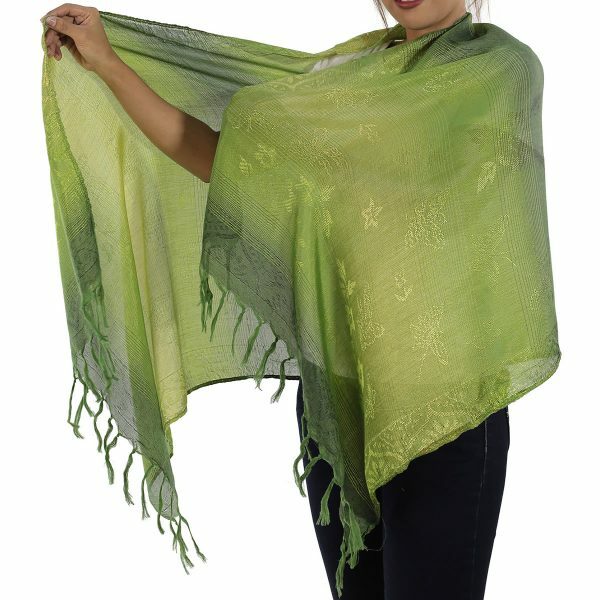 The earthy beauty of a multi-toned green silk scarf livens up a casual outfit of pants and a t-shirt while also being able to bring a certain magisterial elegance to an evening gown with its deep emerald hue. 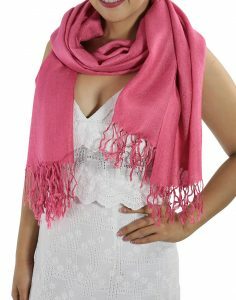 You will definitely be the talk of the town as authentic Thai silk is considered the queen of fabrics. 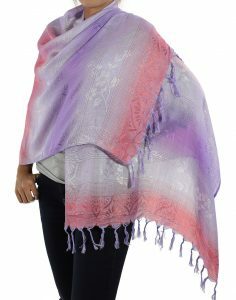 So take advantage of the world literally being at your fingertips and order a multi-toned green scarf, or any other color from our comprehensive inventory, of the highest quality directly from a wholesaler in Thailand. Cut out the middleman. Forget the pricey overseas retail stores that sell products with outrageous markups. Bring a beautiful part of tropical Thailand right to your door with the press of a button. It’s an easy as that.